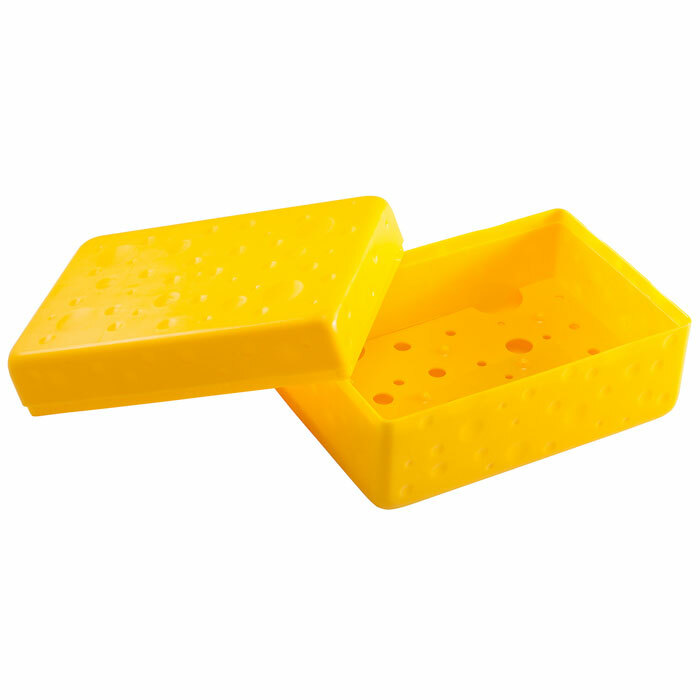 The Cheese Saver® properly stores your cheese so that it stays fresh, longer. It is like your own personal cheese cave, the place where cheese is traditionally aged and stored. Some people don’t realize that cheese is actually meant to breathe and needs air; covering it in plastic wrap prevents this. But give it too much air and the cheese may dry out. 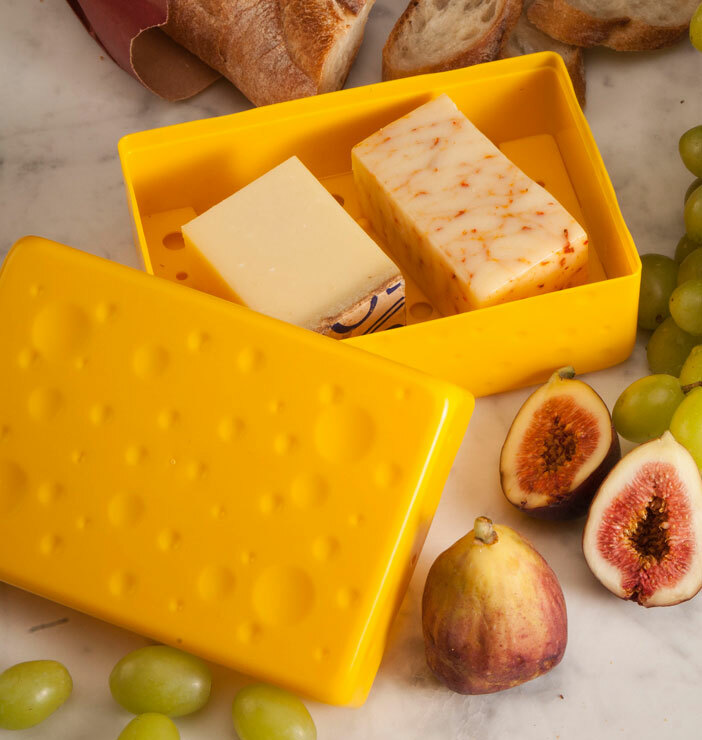 The Cheese Saver keeps your cheese at the proper humidity while allowing it to breathe, so that it stays at peak freshness. 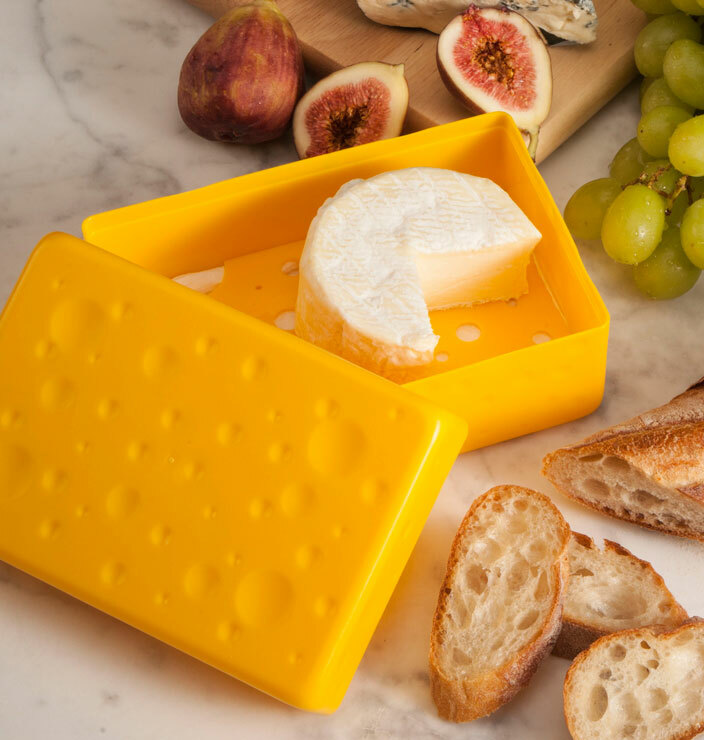 Ideal for both hard and soft cheeses. 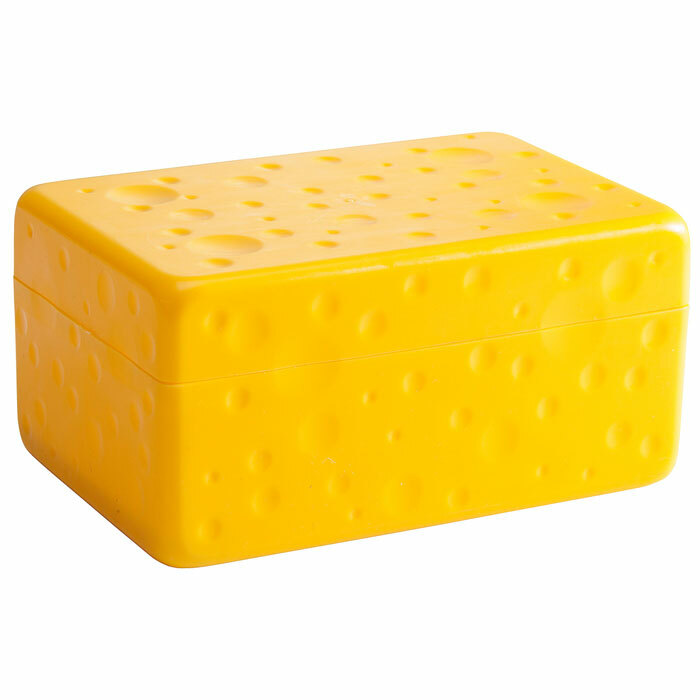 Keeps cheese odors contained. Easily recognizable in a crowded refrigerator. BPA free. Size: 6" x 4" x 3".